AmpPRO simplifies the installation of upgraded amplifiers in data-bus controlled amplified sound systems. With AmpPRO, you can improve audio performance while keeping an original radio’s fit, finish and features. 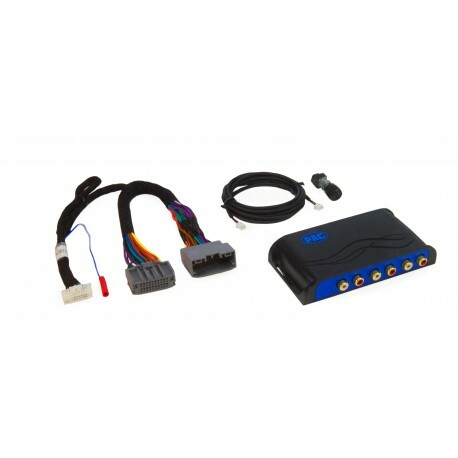 Compatibility Note: This product is compatible with data-bus controlled amplified systems only. To identify these systems, look for logos on door speakers, tweeters, dash speakers or the subwoofer to confirm if the vehicle has a compatible amplified system: Alpine, Beats or Harman Kardon. Vehicle manufacturers do not always brand compatible systems. Unbranded amplified systems are generally identified by locating a center channel speaker or subwoofer.